The Alps are the highest and most widespread mountain range in Europe, spanning 1,200 kilometers and passing through eight countries. This massive geographical gift means Europe has some of the best skiing in the world. 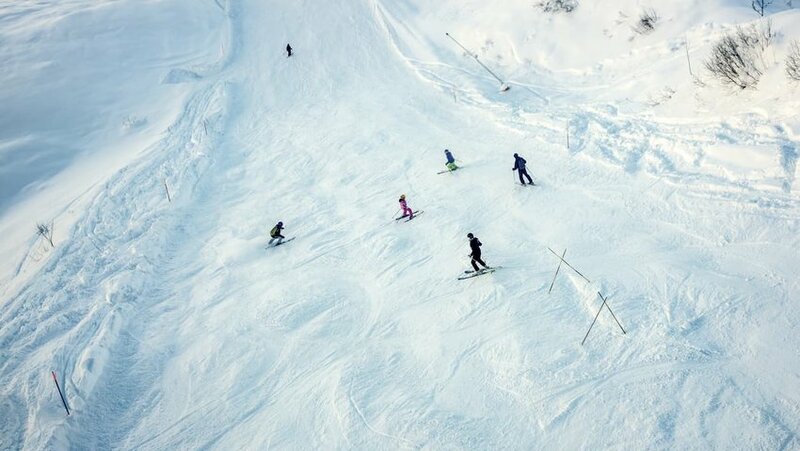 There are plenty of ways to hit the slopes all over the continent. Whether you’re a hard-core, adrenaline-seeking speedster, a novice beginner, or a serious professional, these are the best ski destinations in Europe. Known as the Birthplace of Alpine Skiing, this famous, award-winning region in western Austria is nestled cozily in the Alps. It’s the perfect location if you’ve got a group of passionate skiers with varying degrees of ability. Three hundred kilometers of marked, perfectly-groomed ski trails mean there’s something for every skier’s level – from the advanced steep slopes to child-friendly and beginner runs. For those who crave a rugged and natural environment, Arlberg didn’t forget about you. 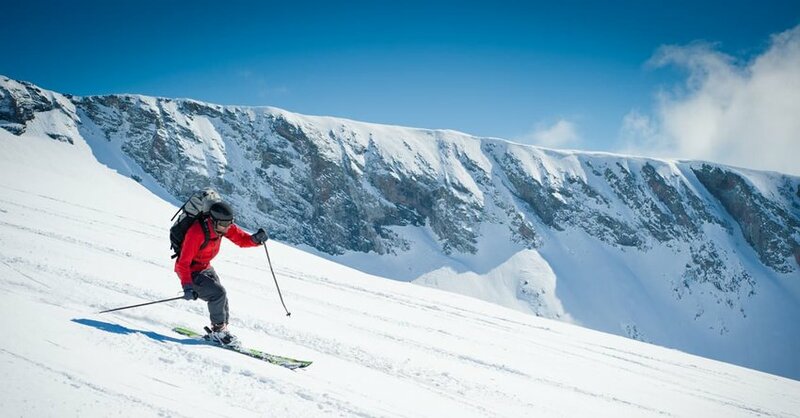 There’s 200 kilometers of ungroomed areas (off-piste) for challenging runs and deep-snow ski runs. Additionally, there is a snowboard fun park, carving areas, and racing circuits. The whole area is served by 88 state-of-the-art chairlifts and surrounded by a charming Austrian village. Some of the area’s resorts are also known for their late nights, making this a great place for skiers who like a side of partying with their world-class skiing. If you live for hitting the slopes, chances are you’ve heard of Chamonix, France’s famous winter destination for skiers. While Chamonix has fairly earned its awesome reputation, La Grave is a less crowded, more remote alternative just a few hours south. 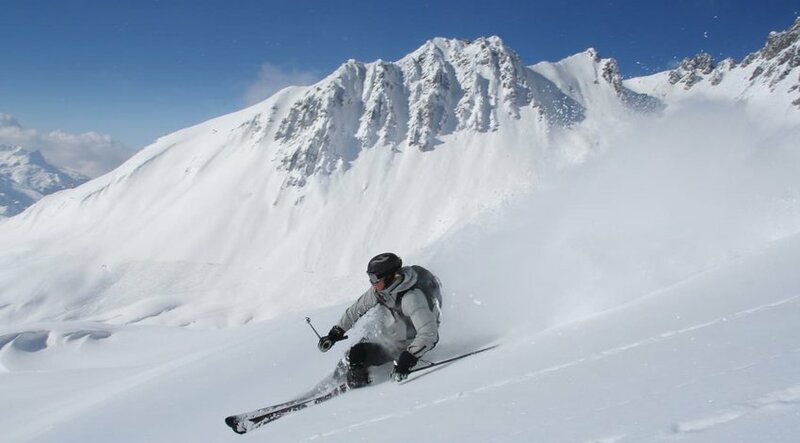 Located in Ecrins National Park on the flanks of the 13,000-plus foot mountain of Le Meije in the French Alps, the historic village of La Grave is an adventurous skier’s dream come true. Trails are steep and challenging, the powder is deep, and there’s plenty of opportunity for backcountry skiing – some of which may require you to break out your mountaineering skills! What makes La Grave so special is that it offers high-quality level of skiing without the hoards of tourists or luxury resorts. Instead, accommodation is simple and cozy. Most notably (and unlike many other European ski destinations) all of the village houses are made of stone (as opposed to wood), allowing it to keep its 12th-century vibe alive. Smack in the middle of the Swiss Alps in the west side of the country, Verbier has gained praise for its challenging runs, diverse trails, and accessibility. A holiday here isn’t cheap, but if you’ve got the cash to spend we suggest you head to Verbier. This Swiss village is known for attracting high-profile clientele and throwing swanky, late-night, celebrity-studded parties in their famous ski bars. With hundreds of kilometers of skiing terrain linked by nearly 100 chairlifts, this is one location that doesn’t require a lot of effort to access the best skiing in the world. Verbier caters to skiers and snowboarders of all levels, whether you’re a newbie to the scene, a seasoned skier, or a professional. Lastly, a snow park and several cross-country skiing and walking trails give visitors a variety of ways to stay entertained. No frills or fuss here, just incredible skiing for those who want to enjoy winter at its best. Surrounded by the Monte Rosa massif in the Alps, this 450-person village is home to some of the world’s best off-piste skiing. There are several other valleys nearby that also boast stellar skiing, but Alagna is the best if you’re looking for heart-pumping vertical slopes and mile-long runs that pass through ancient farming communities. Alagna even offers heli-skiing for skiers who crave the ultimate adventure - like a 3,000-meter vertical drop point! This is not the place to come if you’re after 5-star luxury accommodation and ritzy dining experiences. Here you’ll find a handful of ancient houses converted into hotels and family-run restaurants. That being said, the food is delicious and wholesome and the locals welcome visitors with open arms. Doubling as one of the most breathtaking landscapes in Europe, Val Gardena is the name for three villages nestled in the Dolomites valley. It’s also one of the best ski destinations on the continent. 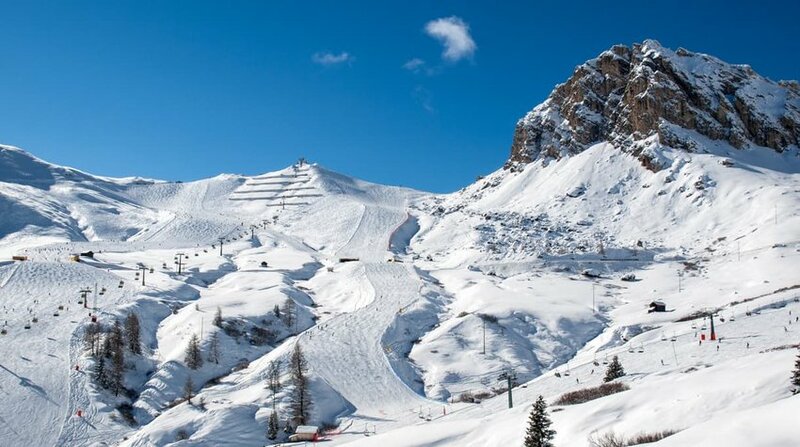 Dominated by the mighty Dolomites peak in the Sella massif, this area has been a well-known ski destination for decades. Val Gardena is the most popular with families with children and intermediate skiers and snowboarders. The famous 24-kilometer Sella Ronda Circuit is also here, a long-distance ski loop passing through 4 stunning valleys in the Sella massif that’s a must-do for any intermediate skier. The family-friendly vibe of Val Gardena means there’s less partying and more eating. Feasting on gourmet favorites in laid-back venues is the name of the game when you’re not on the slopes.